The sheer number of cyberattacks lately led us to this question: which states are at the greatest risk of a cyberattack? Naturally, we took it a step further. We looked into data on population and population density in an effort to find correlations. Which are the most infected states? Opening up our list in the top three spots are California, Texas, and Florida. These three states were both the top three most populated and the top three most infected. This immediately led us to some questions: is the only correlation between states and the number of infections population? Based on these top three, that might be a safe guess. Pulling up the rear of the top 10 are North Carolina and Wisconsin. 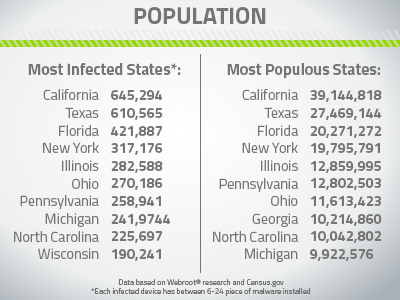 North Carolina held strong at #9 for the Census’ most populated state and as Webroot’s 9th most infected state. The only major difference we noted is the fact that Wisconsin made it onto the list of the most infected states, while Georgia, 8th for most populous, doesn’t even rank. Wait a second, Georgia doesn’t even rank? For the record, Wisconsin is the 21st most populous state, which puts them way outside the range of the top 10. What’s even more surprising about this discrepancy is that Georgia’s population is at 10,214,860 and Wisconsin’s is about half that at 5,771,337. So, I think that safely puts our “more people equals more infections” theory to bed. How do the most infected cities stack up? The most infected cities in the U.S. compared to a list of the most populous cities proved even more surprising. Since we noticed that there wasn’t a strong correlation at the state level, we wondered about the city level instead, and took a side-by-side analysis of the most infected cities and most population dense areas of the U.S. The first thing we noticed in the above is how little correlation there seems to be between population density and the number of infected devices in the city, which we expected would have some impact. 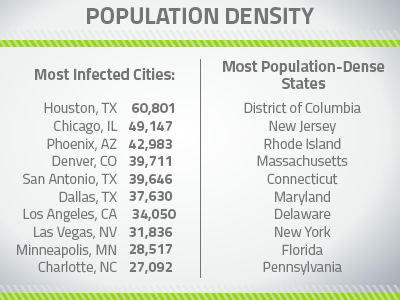 In fact, a quick glance at the list shows that none of the most infected cities are in any of the most population-dense states. Additionally, even though Texas is 2nd on our list of most-infected states, it has its infections more localized in its larger cities. As a point of comparison, consider that NYC is one of the most population-dense cities in the U.S., but it conversely doesn’t even make it into the top ten for the number of infected devices. Although Phoenix is right behind Chicago and Houston in the number of infected devices, it’s a significantly smaller city. The same goes for Denver. Even though Colorado is at #23 for population and infected devices, Denver itself nonetheless makes its way into our top ten. Maybe Webroot users have some hometown pride? Cybercriminals have no geographical bias. Whether you live in a big city or small town, east or west coast, you’re susceptible to being a victim of cybercrime. 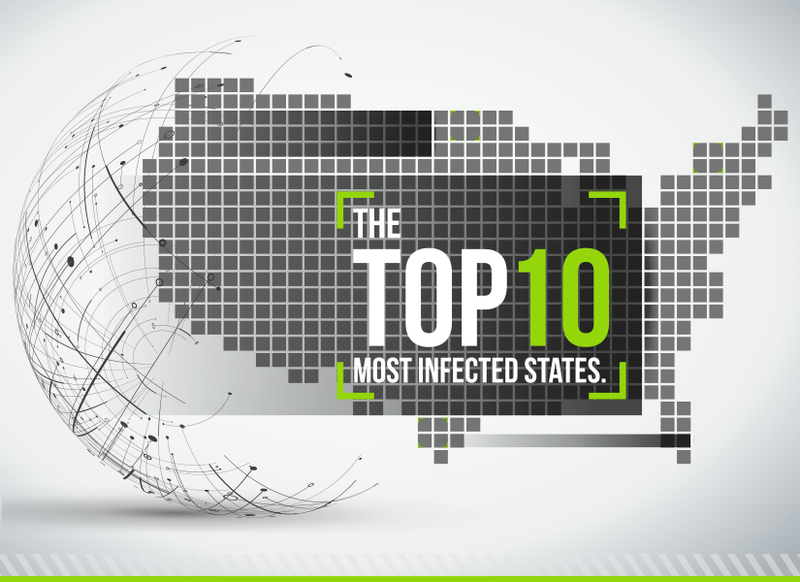 Check out our infographic on the most infected states and protect yourself with award-winning security. As long as you have your 20 digit alphanumeric keycode, all you will need is the download link for Mac. If you have any issues, please feel free to reach out to our Support Team directly. They can further assist you completely free of charge! It makes sense that population and hacks are highly correlated, showing that on a per capita basis states all have about the same risk. 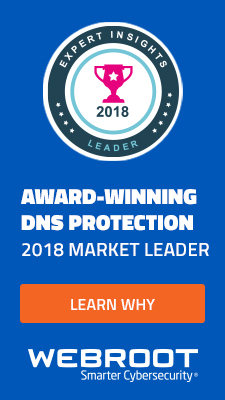 I don’t get what I am supposed to take away from this info, except Webroot makes security software (which I happen to use), and wants to sell it. 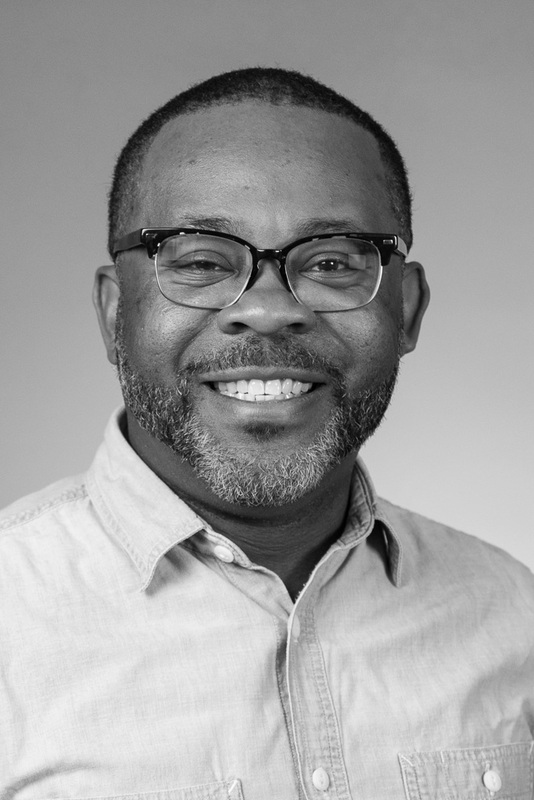 In general, People today have no idea what they are publishing when they go online. Educating the population on this is terribly important. Wisconsin is also the state in which the most brandy is consumed. Don’t drive a computer and drink? I agree with Blanca Perez. “…..what I am supposed to take away from this info, except Webroot makes security software (which I happen to use), and wants to sell it.” So? Does this mean you are going to do a better job on our software? Does this mean we should be “buying” something else? What is Webroots’ end game here? I think that the information on population density and the number of hacks was interesting. it shows that our immediate interpretation of an expected outcome could be wrong. All I can say is I was glad Webroot was there when my computer got hacked some months ago. 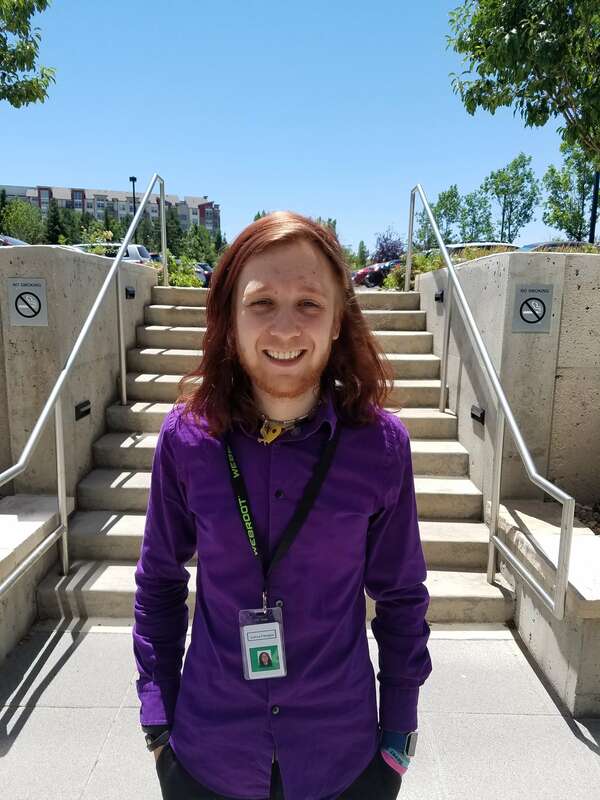 My computer repair person, also a friend recommended Webroot. I haven’t had any issues and am very please with Webroot.. I have it on all my PC’s . When , I try to put the free webroot on my tablets or phones, the mess up. I wish they had something for those also. Barbara, please know that we have a Support Team standing by to assist you. the ability to change screens with swipes. If I went to BBC News I was not allowed to read past that 1st screen. I could not scroll down an read the entire story or publication. Thanks for your feedback, Richard. If you have any technical issues that you need to have addressed, please reach out to our Award-winning U.S. based Support Team. They’ll be able to further diagnose exactly what is going on. Very interesting though, Mike! A future blog post perhaps…? Excellent software. Glad I purchased it for my system. Very interesting study. I’ve been a customer and advocate for years.I wish WEBROOT had a video editing suite! Really, we need to redouble our attention. Great study! I have had Webroot software for years now – at first just on my computer – but now on my smartphone, too. Happy to say that I have never had a problem. AND customer service has been fantastic. 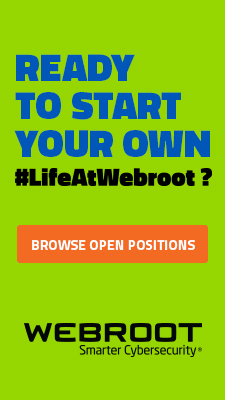 Have had Webroot for quite a few years and have not had ANY issues that Webroot has not “rooted out”, pardon the pun. 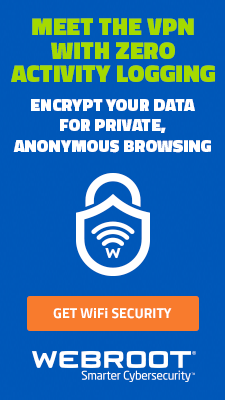 I have sometimes considered other more advertised options, but in the I don’t notice Webroot because the software is simply doing it’s job protecting my phones, tablets, laptop and desktop. Keep up the good work! due to efficient coding and/or the fact that it is running on the cloud? Just wondering if Webroot is still exclusive for being the only package that is cloud based? I am getting close to renewing, and the above issues were why I chose Webroot in the first place! It has found stuff on a couple issues that other packages did not find, and because it is cloud based, I can install other packages on my computer with minimal conflicts. Thanks Webroot! Because everything Webroot needs is stored in the Cloud, that is exactly why it’s so lightweight on your Computer’s resources. SecureAnywhere is less than 1MB after being installed, the smallest install size in the Industry. Hi, I have used WebRoot for several years and love it. BUT ten lashes for me, I screwed up and unintentionallly let the subscription expire. Well within 2 days, a Zeus virus hit me computer and damaged my hard drive. So of to the computer store for me. YUK….totally MY fault, but hard lessons are well learned…I WILL NEVER LET MY SUBSCRIPTION run out again !! 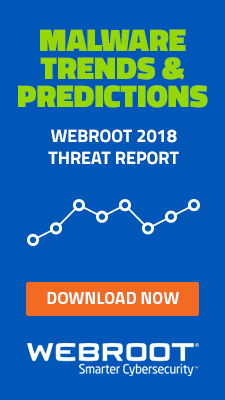 Keep up the good work WebRoot. Mary Lou, the “Zeus virus” is not a legitimate infection and your Compute is more than likely totally OK! I’ve created a support ticket for you with our Customer Support Team to ensure all of your concerns are addressed. Thank you for letting us know!